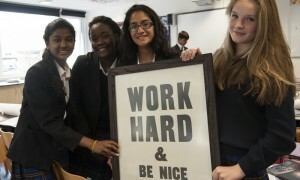 Bancroft's offers a wide range of co-curricular activities to all pupils. These activities promote self-reliance and self-confidence and give Bancroftians a chance to develop abilities and strengths which may not emerge in the academic side of school life. 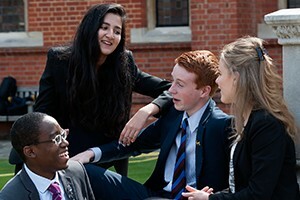 Not only do pupils derive many benefits from involvement in these activities, but also employers and universities set great store by the qualities which are developed and the qualifications gained. The Combined Cadet Force (CCF) is one of our most popular co-curricular activities and has both Army and Royal Air Force sections. Training is varied and includes flying, gliding and orienteering. Three camps are arranged each year and other exercises are undertaken. The Duke of Edinburgh’s Award Scheme (DofE) is consistently popular for the opportunities which it provides for getting active, volunteering, learning and developing new skills and challenging expeditions. Each year a significant number of Bancroftians achieve their DofE Gold Award. Bancroft’s has a flourishing Scout Group with two age bands: Cubs (Prep School to age 11) and Sea Scouts. 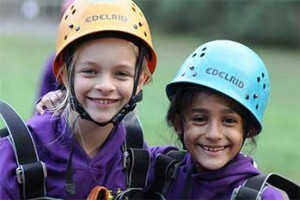 Ours was one of the first scout groups to welcome both girls and boys to equal membership. The Community Service Unit is well supported, stimulating awareness of community issues and helping to tackle them, for example, pupils help at local hospitals and schools. Bancroft’s undertakes many projects in aid of local, national and international charities and students are encouraged to take the initiative in selecting causes, generating interest and raising money. In addition to timetabled sports and games, pupils have the opportunity to participate in a variety of co-curricular sporting activities including table tennis, badminton, fencing, dance and yoga.